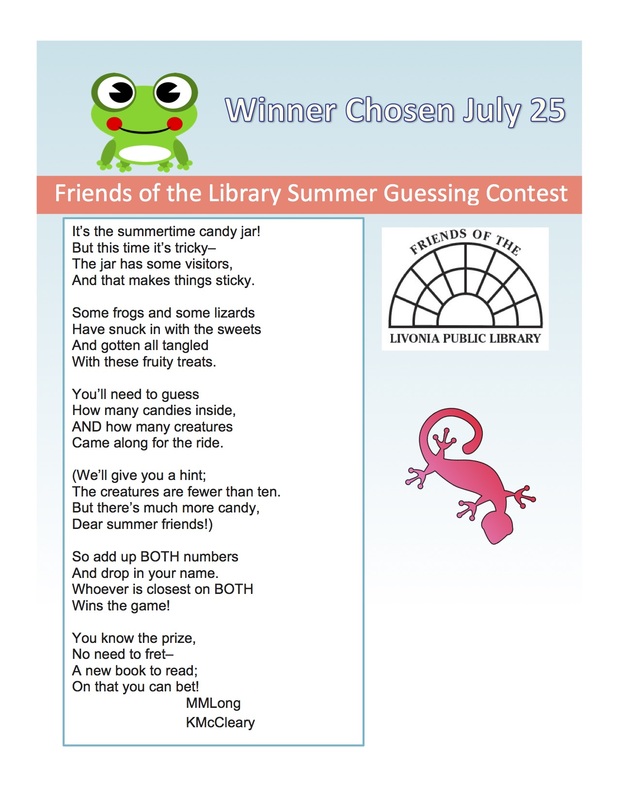 Contests – Friends of the Livonia Public Library, Inc. The Friends Mystery Box is ready! Stop at the Library and put your name in for a free chance to win this Thank You gift from the Friends! Winner will be drawn December 17. Thank you Mae Sharman for the beautiful job you always do with our displays! 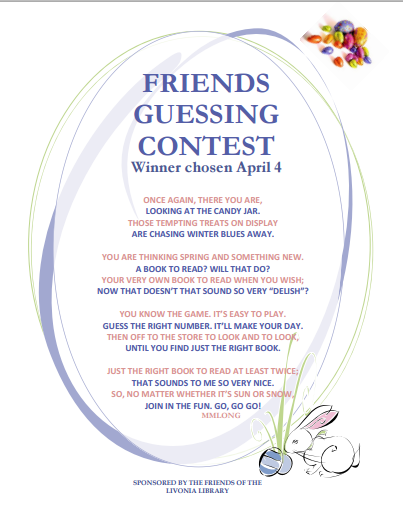 Try our Easter Guessing Contest! Take a Guess for our Easter Contest! 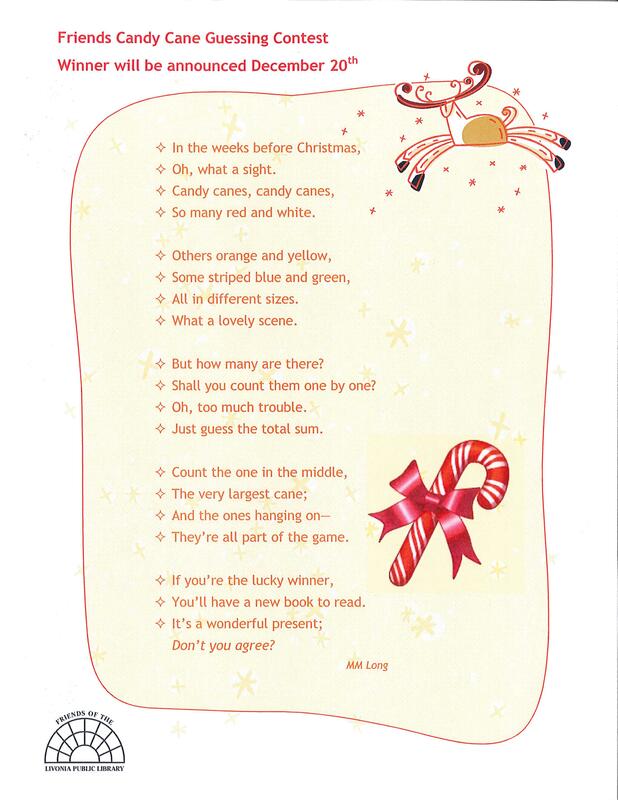 Can You Guess the # of Candy Canes?